Grab your spoons for this stunning soya yogurt. This captures the exotic flavour of pineapple and passion fruit, with pieces of grated organic coconut for good measure. Only real fruit, no fussy artificial flavouring. 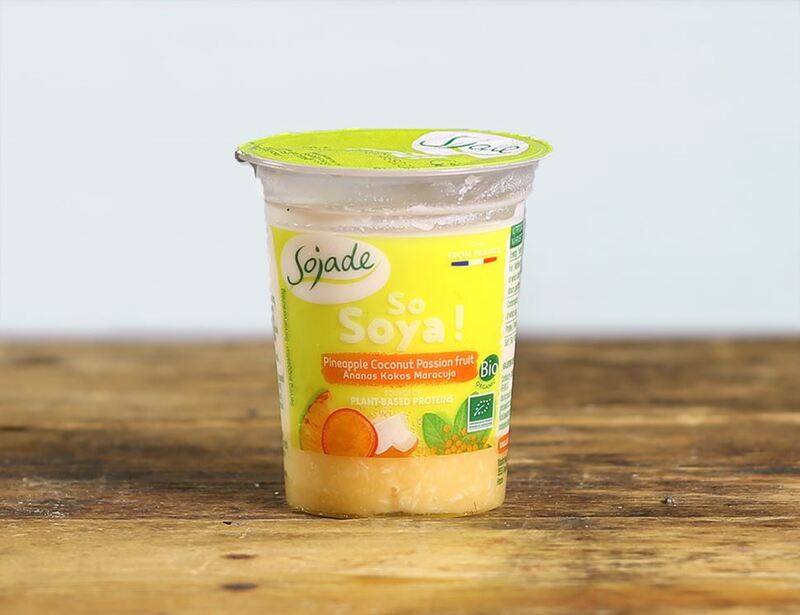 "Soya drink* 80% (water, hulled soya beans* 9,2% (France)), raw cane sugar*, pineapple* 4%, passion fruit juice* 3%, grated coconut* 1%, thickeners : pectin - carob flour, acidity regulator: calcium citrate, selected live cultures of which Bifidus and Lactobacillus Acidophilus. " * = produced to organic standards. For allergens, including cereals containing gluten, please see ingredients in bold.